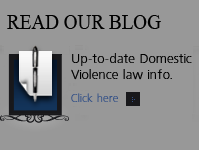 Tactics and Strategies When You Are Accused of Domestic Violence in Colorado - Denver Criminal Attorney Specializing in Domestic Violence Cases - Colorado Criminal Defense Lawyer. A Colorado domestic violence arrest can be a devastating experience to anyone. Whether the incident was a harmless situation that spun out of control, a gross misunderstanding, or a typical way of communicating between two people. The time after the arrest can be terrifying, as the criminal justice system is very complicated. While the attorney will ultimately be in charge of helping a defendant, the defendant can contribute to increase his or her chances of beating the offense. Immediately after the arrest, there are several steps a defendant can take to ensure that his or her side of the story is heard. The defendant should try to retain a qualified criminal defense attorney as soon as possible after the arrest. The lawyer will discus the incident to make sure the important details are covered. He or she will work to help sort out the incident and get to the bottom of what really happened, and then devise a strategy to secure the best possible outcome for the defendant. The lawyer’s first move is to help the defendant navigate the bail hearing process and get the client out of jail as soon as possible. A skilled lawyer will know how to effectively communicate to the judge that the defendant should be released on his or her own recognizance, or at least should have bail lowered from the bail schedule amount. Not being incarcerated while your case is at trial is very helpful. Benefits include the comfort of being in your own home and more importantly, having unlimited contact with your attorney. In addition, your attorney can slow down the criminal process, which helps the accused, and this is easier to do if the defendant is not locked away. An experienced criminal defense lawyer will be able to guide you through the release process, whether it involves PR release (release on your own recognizance), posting bail, or entering a Motion for the Reduction of Bail. After the defendant has gotten out of jail or prison by being released on his or her own recognizance or bail posting, the attorney may hire a professional private investigator. Private investigators are usually retired law enforcement officers or persons with similar training who work to determine what actually happened in the alleged incident. They will uncover facts and interview witnesses to gather as much information as possible so that the attorney can develop an effective defense for his or her client. Typically, the individual who has the most specific recollection of the events surrounding a domestic violence incident is the one whose story is believed. With time, memories fade and details become hazy, so it is important for a defendant to write down everything about the event that he or she can recall. No detail is insignificant and these notes could make a huge difference in the outcome of the trial. After writing as much as possible about the event, the defendant should give the writings to his or her attorney for safekeeping. Many domestic violence charges are based on “He said, She said” allegations. The defendant should keep a detailed record of the events that occurred, in addition to any documentation that may be important in order for the court to assess damages. The attorney and private investigator can obtain any records that deal with the event, such as a copy of the police report, medical records, and the intimate partner’s medical records when possible. The private investigator will photograph the scene where the incident occurred to get pictures of any property damage. Other records, such as repair bills for damaged walls, broken windows, and vehicle damage may be relevant to the case. A good lawyer will do his or her best to gather all the evidence to support his or her client’s side of the story. 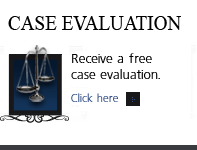 H. Michael Steinberg at The Steinberg Colorado Criminal Defense Law Firm has over 25 years of experience litigating intimate partner abuse charges. 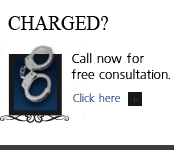 He constantly updates his knowledge and skills in the areas of Colorado Criminal Law. He participates in ongoing education in cutting-edge trial strategies and the latest statutory and case law. He will help a defendant with all preparation needed before trial, including collection and organization of notes and records. A domestic violence conviction is serious, and a person faced with such a charge should hire a trained legal professional.